Roger McGuinn, founding member of The Byrds, guitar genius and all-round sixties pop superstar, once asked George Harrison, circa 1966, if he believed in God. McGuinn was utterly fascinated by Harrison’s reply: “Well,” said the Quiet Beatle, “we don’t know about that yet.” Note Harrison’s use of the plural “we.” Not “I don’t know about that yet,” but “we.” Harrison’s answer intrigued McGuinn because it seemed to confirm something that Eric Clapton, amongst others, had noticed when watching The Beatles: they appeared to move as one. Seems they also thought as one too. “It was,” says McGuinn, “as if they had combined minds. It was a really tight unit.” Amazing. And for a self-confessed Beatles nerd like me, anecdote gold. This story, would you believe, is a mere footnote in what I honestly think is the greatest book ever written about The Beatles. Actually, scratch that, Ian MacDonald’s jaw-droppingly brilliant Revolution in the Head isn’t just the best book ever written about The Beatles, it’s one of the best books ever written about music, the sixties and English popular culture. There are probably as many books on The Beatles as there are Beatles fans - and I’ve read a fair percentage them - but I can tell you with confidence that Revolution in the Head is, quite simply, the best. Here is a love-letter to The Beatles in book form. Here is mind-boggling research and erudition. Here is a book so authoritative about the most neglected part of The Beatles’ legacy - their music - that after reading, you go away and listen to their songs with fresh, educated ears. Be warned, though; even if you harbour only a casual interest in The Beatles or music, Revolution in the Head is freakishly addictive. I own two copies, because the middle pages of my first edition (my Dad gave it to me and I treasure it like a family member) have almost fell out thanks to constant re-reading. I’ve bought Revolution in the Head for countless friends, and sang its praises to many more, Beatle-fans and non-Beatle fans alike. Their response after reading is always the same: “Oh my God! That book you bought me on The Beatles was amazing - my Dad / sister / flatmate has pinched it off me!” It’s the kind of book you won’t want your partner keeping after a break-up. You may feel an overwhelming desire to write you name in it. 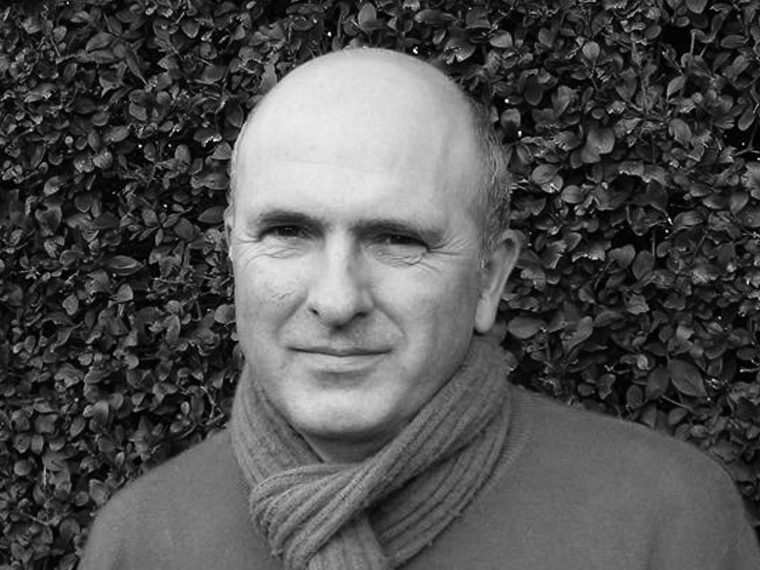 Revolution in the Head was written by the late, great Ian MacDonald, a Cambridge-educated musician and writer for the New Musical Express. 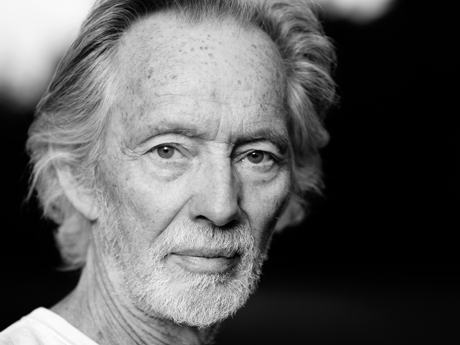 Tragically, MacDonald took his own life in 2003, at the terribly young age of 54. Believe me, when you get to the end of his book, you’ll mourn his loss as keenly as you mourn the losses of John Lennon and George Harrison. MacDonald wrote another highly acclaimed book, The New Shostakovich, celebrating the great Russian composer. The sharply dissonant compositions of Dmitri Shostakovich couldn’t really be further away from The Beatles, which gives you some idea of MacDonald’s breath-taking musical knowledge. 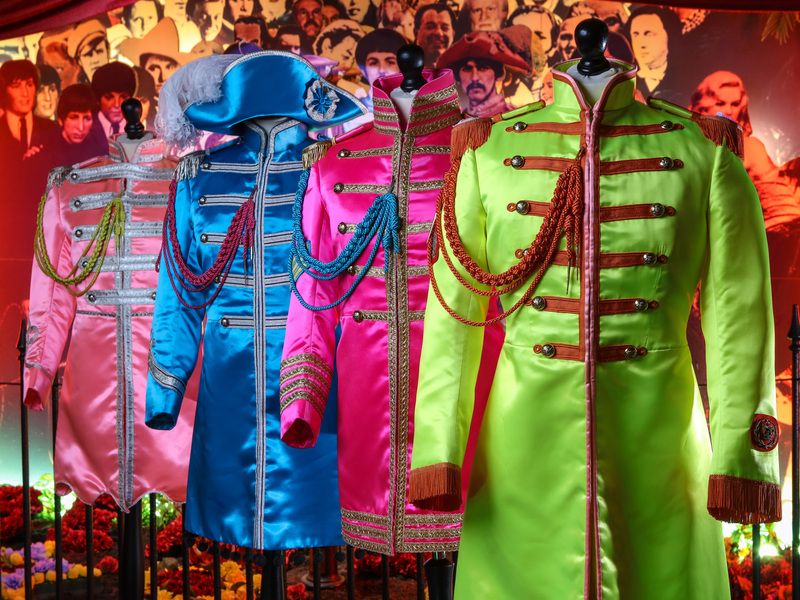 So, what part of The Beatles’ story does Revolution in the Head cover? It starts with the most important part - their songs - then rolls up its sleeves and tackles everything else. In simple, chronological order, MacDonald explores in depth (and we’re talking forensic, CSI-style depth here) every song The Beatles recorded, from their early demos to Free as a Bird on The Beatles Anthology. Through this, MacDonald threads the story of The Beatles themselves: how they got together; their astonishing ascent into the pop stratosphere; the glory years of 1962-69 and the heart-breaking split. As you progress through the book, you will slowly have every one of your preconceptions about The Beatles expertly overturned. John was the rocker while Paul was the one wrote the cute love songs, right? Wrong. John could write achingly beautiful ballads like If I fell, while Macca could produce songs like Helter Skelter, in which he tried - and succeeded - to rock harder than The Who. That Yoko Ono broke up The Beatles, right? Nope. Geoff Emmerick, the Beatles’ trusty studio engineer, recalls visible tensions between Lennon and McCartney as far back as Rubber Soul. And finally, Ringo Starr was just a lucky chancer who hitched a ride to fame on the backs of three more superior musicians, right? Wrong again. MacDonald considers Ringo to be nothing less than the father of modern rock drumming, and urges you to listen to his extraordinary work on the song Rain. He also points out that it was Ringo who contributed the line “darning his socks in the night when there’s nobody there,” to Eleanor Rigby. I mean, Ringo, right?! 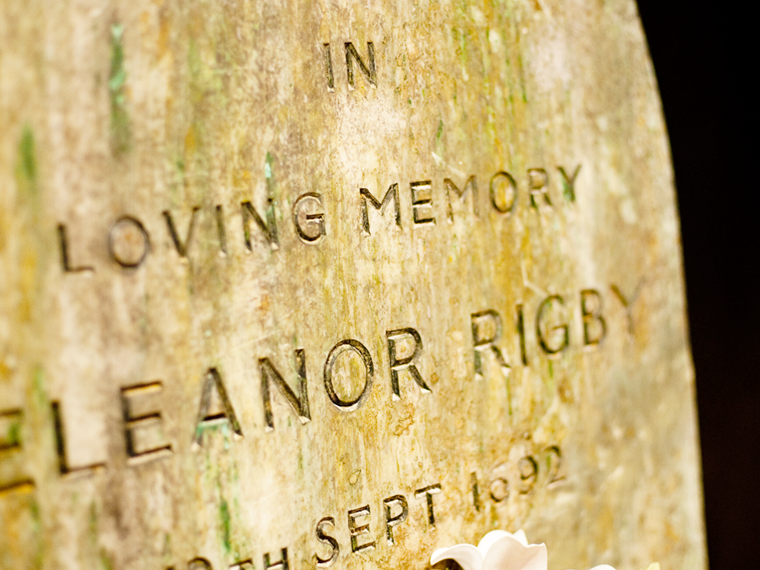 Writing part of Eleanor Rigby?! Wowzers! The first time I read this, I naturally rushed to listen to the song through the best pair of headphones I could find. And sure enough, there it was - Lennon’s folk-blues guitar and McCartney audibly grinning at his bandmate. As I listened, I was grinning too; I felt like I’d been let in on some cosmic Beatles secret. 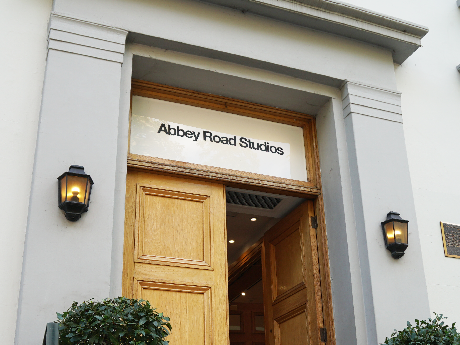 I felt like I’d been allowed, just for a little while, to stand next to John, Paul, George and Ringo in Abbey Road. I was also smiling because I couldn’t wait to share this book with my friends and family. Even if you don’t always agree with MacDonald’s assessments of the Beatles’ songs (and you won’t always agree - I thought he was unfairly dismissive of I’ll Follow the Sun, a song I think is one of The Beatles’ loveliest - but that’s all part of the fun of the book) you can only marvel at his ears; the man heard things I thought where only audible to dogs. If, like me, you play an instrument, prepare to bid farewell to you social life, because Revolution in the Head will send you back to your guitar and piano, determined to master these beautiful songs. I could go on and tell you how this book turned me into a die-hard McCartney fan after years of favouring Lennon; how I got a bit weepy as I worked my way through the section that detailed The Beatles’ harrowing break-up; how MacDonald’s introduction on post-war Britain slowly morphing into the fifties and sixties is worth the price of the book alone. However, what I really want to tell you is this: if you love music or The Beatles or great writing, rush out and buy Revolution in the Head now. And buy a copy for friend, because you’ll want to talk to them about it. Like The Beatles’ music, Revolution in the Head will keep you company for the rest of your life. 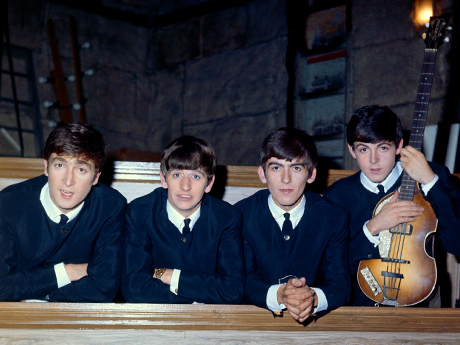 Going back to Roger McGuinn’s question - did the Beatles believe in God? - we never really get a final answer. However, around the time of his conversation with McGuinn, George Harrison began travelling to India in an attempt to find God for himself. By all accounts, he succeeded. But then, Harrison probably knew that The Beatles’ music, like Ian MacDonald’s book, was divinely inspired. 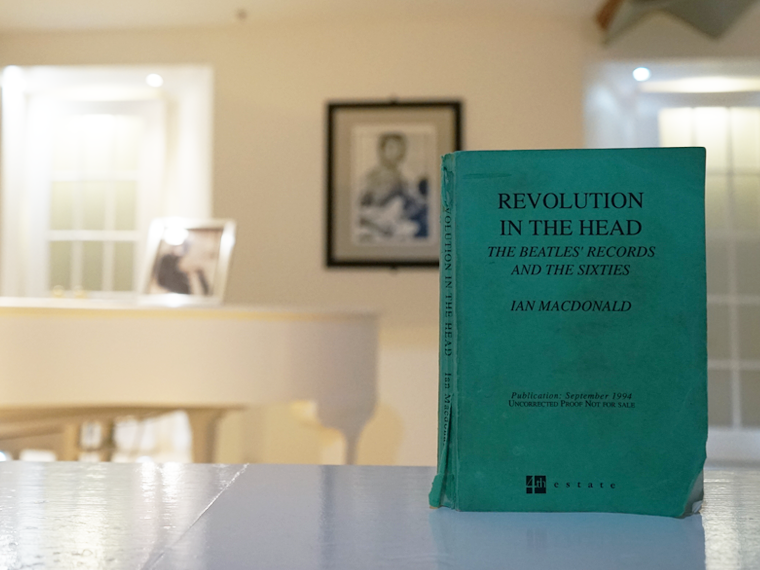 Revolution in the Head by Ian MacDonald, published by Vintage. Nick is a member of the Discovery Zone team here at The Beatles Story and is responsible for providing educational support to visiting school groups.